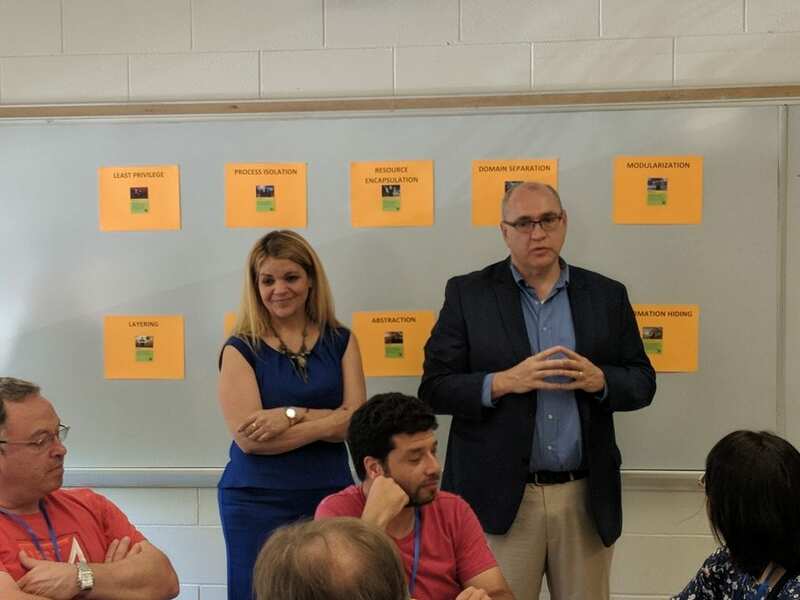 For the fourth year, Pace University’s Seidenberg School of Computer Science and Information Systems hosts a GenCyber cybersecurity workshop for high school teachers. The workshop, which is supported by a grant from the National Security Agency (NSA) and the National Science Foundation (NSF), aims to introduce methods for educators to bring cybersecurity into the classroom through a seven-day program on Pace University’s Pleasantville campus. 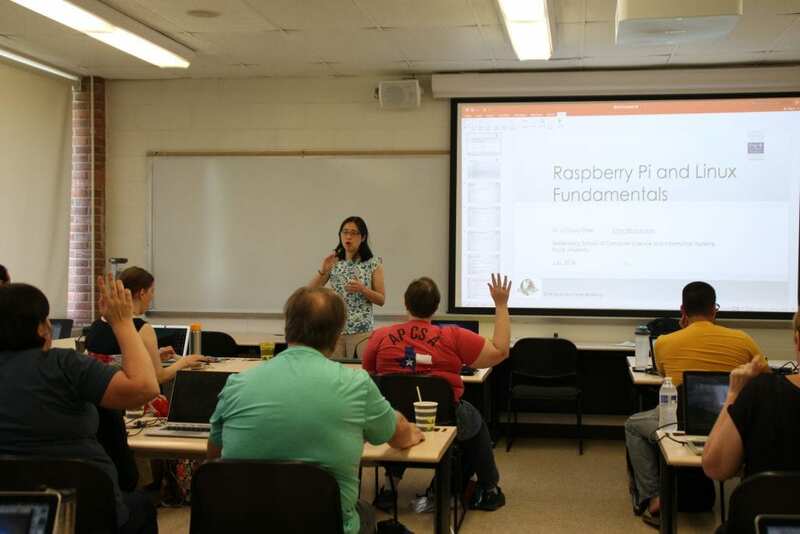 Dr. Li-Chiou Chen introduces the fundamentals of Linux and Raspberry Pi. Over the course of the workshop, the 24 high school teachers in residence will undergo rigorous training in various cybersecurity topics and learn the tools to impart that knowledge to high school students when they return to the classroom. The workshop kicked off on Thursday, July 12, 2018, and will run until Friday, July 20. 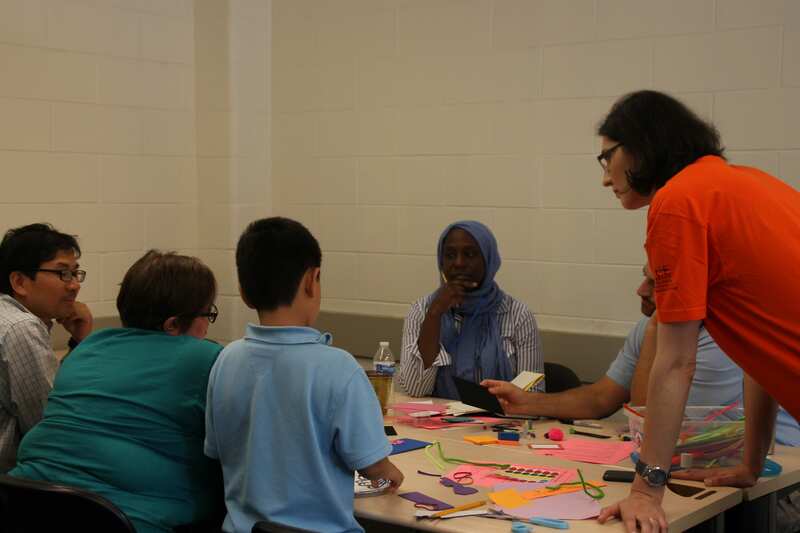 On day one, the workshop kicked off into high gear with unplugged activities running in the morning before it was joined by a few guests for lunch. Dean of the Seidenberg School, Jonathan Hill, as well as the new Pace Provost, Vanya Quinones, stopped by to greet the participants. Assistant Dean Andreea Cotoranu introducing the next training exercise to participants. Andreea Cotoranu, the Assistant Dean of Academic Innovation, and the Pace GenCyber Program Director, welcomed the group and thanked her “partner in crime,” Dr. Li-Chiou Chen, Chair of the Information Technology Department, and Pace GenCyber lead instructor, for her contributions to designing and teaching the workshop. “I am very excited you are all here,” said Dr. Chen. Pace Provost Vanya Quiñones and Seidenberg Dean Jonathan Hill welcomed participants on Day 1. Dean Hill gave participants an overview of their host: “Welcome to Pace University and the Seidenberg School,” he said. “The Seidenberg School is the third oldest school of computer science in the country. We are celebrating our 35th anniversary this year and there are several things that are . . . part of our ethos that we are incredibly proud of, and having the opportunity to host you here is a great reflection of that. “We believe in a strong pipeline from K-12 all the way through to the highest levels at University so we have such deep respect for all the things you do in your classrooms. Dr. Li-Chiou Chen demonstrating a cryptography wheel. 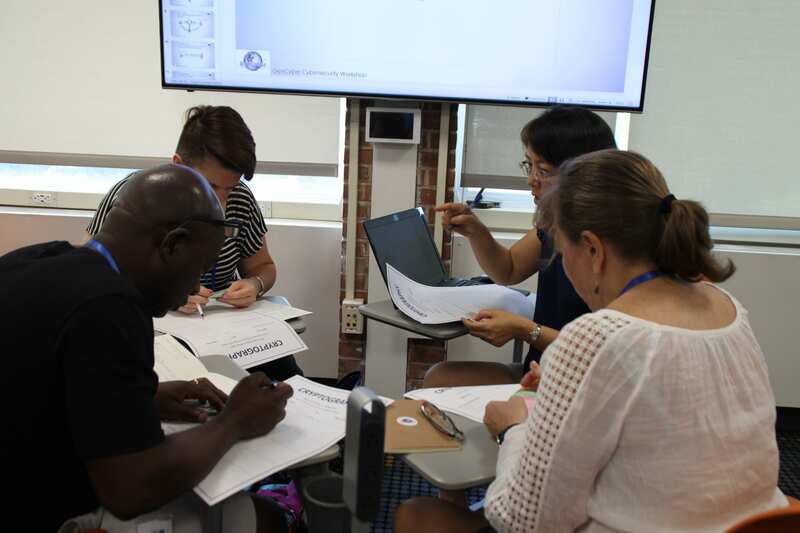 The Seidenberg School is delighted to run the GenCyber workshop for high school teachers as it fully aligns with our cybersecurity initiative, which emphasizes the importance of cybersecurity education and awareness today and going forward. The School has been having a powerful impact in higher education and industry communities for years, but the chance to extend our impact into high school classrooms is an opportunity we are extremely proud of and enthusiastic about. Participants hard at work on a cryptography exercise. 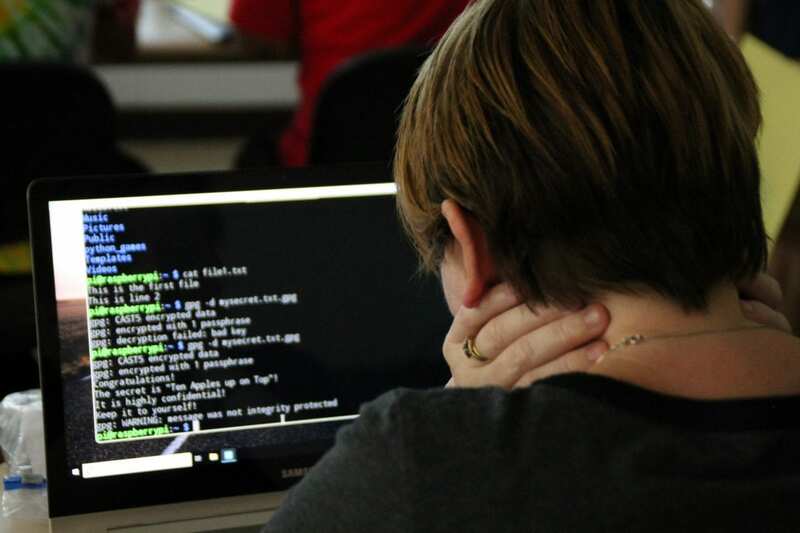 Read about previous GenCyber workshops!